You can download them next week. 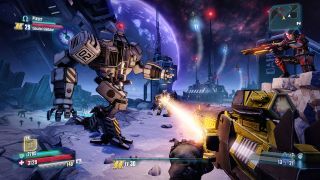 Announced at today's Borderlands panel at PAX East 2019, Borderlands 2 and The Pre-Sequel are each getting an Ultra HD texture pack as a free download. They'll redo textures across the game, from characters and vehicles to weapons and environments. The pack won't just include textures, though—it'll add some extra graphical touches, like higher resolution dynamic shadows, improved Screen Space Ambient Occlusion, and better anti-aliasing. Some of the visual improvements will be added automatically after you download. They'll arrive for both games on April 3rd.